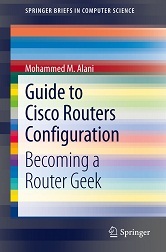 When would you need this: When you are implementing a routing protocol on a large Internetwork and all the networking devices involved are Cisco devices. Special Requirements: EIGRP is a Cisco proprietary protocol. So, either all the routers in the Internetwork must be Cisco routers, or the routers should be EIGRP capable. When would you need this: When using the router as a DHCP server to provide IP addresses and related information to DHCP clients. Specials Requirements: DHCP server software is supported for these series; 800, 1000, 1400, 1600, 1700 series (support for the Cisco 1700 series was added in Cisco IOS Release 12.0T), 2500, 2600, 3600, 3800, MC3810, 4000, AS5100, AS5200, AS5300, 7000, 7100, 7200, MGX 8800 with an installed Route Processor Module, 12000, uBR900, uBR7200, Catalyst 5000 family switches with an installed Route Switch Module, Catalyst 6000 family switches with an installed MultiLayer Switch Feature Card, and Catalyst 8500. When would you need this: When you plan to upgrade the IOS, plan to implement something new in the configuration, or when you need to copy the configuration from one router to the other. When would you need this: When you need to implement a routing protocol for a small network and you need the configuration to be simple. Routing Information Protocol is the simplest that it can get.